How Holographic Discs Can Improve Your Sports Endurance! Looking for ways to improve your endurance while exercising? Felling like you aren’t accessing the full energy potential of your cells? Then you might need a Miracle Balance holographic action disc. 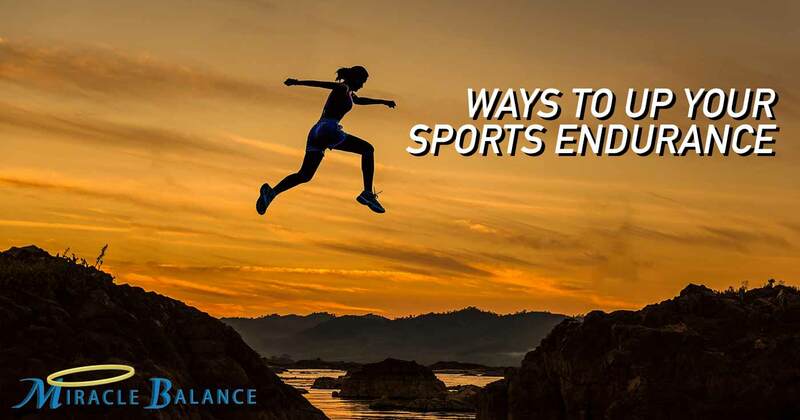 Having the edge and improving your cardiovascular, muscular and energy endurance may give you the push you need to succeed in the sport you are participating in. The action disc is a transdermal holographic data disc that works via activation of the acupuncture meridians. This is a fusion of the traditional Chinese understanding of medicine via acupuncture and the body’s natural energy fields.From this, a state-of-the-art delivery system of energy data via a laser-cut hologram was created. Each disc has information specifically written onto it, much like a music disc or computer disc. All around your body, there is energy, and this energy is focused at acupuncture meridian points. Once the hologram is placed on the skin, it enters in your body’s energy field. Here, the hologram disc can be activated to bring about the healing and increased endurance effects by activating your cells with energy. Recently,scientists have discovered that it is possible to embed products with healing energy. The way this is done is by embedding scalar energy waves into nutritional products. Scalar waves are a type of longitudinal wave that is found naturally in the environment. The discs are embedded with the energy that is carried in scalar waves, which has been shown to have healing qualities, in the same way that chiropractors or physical therapists use energy and electricity to help stimulate muscles and promote healing. The ACTION discs are specifically infused with data that helps to stimulate cells to access their full energy potential, allowing you to access your peak athletic performance potentials! The MBdiscs are very easy to use and are hassle free. Each package comes with 14 discs that can be reused. It is important to note that the holographic discs’ effectiveness can be delayed with the use or caffeine or other stimulants. If used in conjunction with drugs or other chemicals, you may experience something similar to a detox effect(such as increased urination). If you are interested in having the upper hand in the competitive sports world,and would like to purchase a holographic action disc,search for one of our stores near you! How Are Acupuncture Points Related To Holographic Discs? How Do You Use A Scalar Laser Pen? © 2019 Miracle Balance. All Rights Reserved. Disclaimer: Use of caffeine and other stimulants can delay effectiveness of the Holographic Disc. If you have been taking drugs or chemicals you will likely experience a detoxification effect (increase urination and/or body odor). Increase your intake of non-fluoride –mV water. These statements have not been evaluated by the food and drug administration. For external use only. Do not ingest. Remove immediately if you feel discomfort or skin rash occurs and increase intake of non-fluoride, -mV water. These guidelines are solely for educational and informational purposes. The information is no way intended to be medical advice. Please consult a medical or health professional before you begin this or any health program, if you have any questions or concerns about your health. Mbdisc are not intended to be used in the cure, treatment or prevention of disease in man or animals. Individual results will vary. Are you a reseller, retail store owner, or health provider? Partner with a unique company that cares — we only sell to individual stores and doctor offices.